Sometimes even with the best of headlights, it’s impossible to see everything at night. 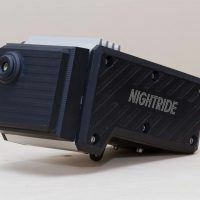 A new product called NightRide uses advanced infrared technology to help drivers see after dark. The NightRide unit comes with two different displays, including a “fighter pilot” style heads-up display. There’s no doubt about it. Driving at night is risky business. Throw in visually-impaired drivers, fatigue from the long work day, and rush hour traffic and the odds are further against you. In fact, the National Safety Council finds that 50 percent of traffic deaths happen at night. 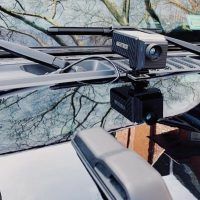 The developers of NightRide considered statistics like these when they went to work on the innovative plug-and-play device that utilizes far-wave military-grade infrared technology. 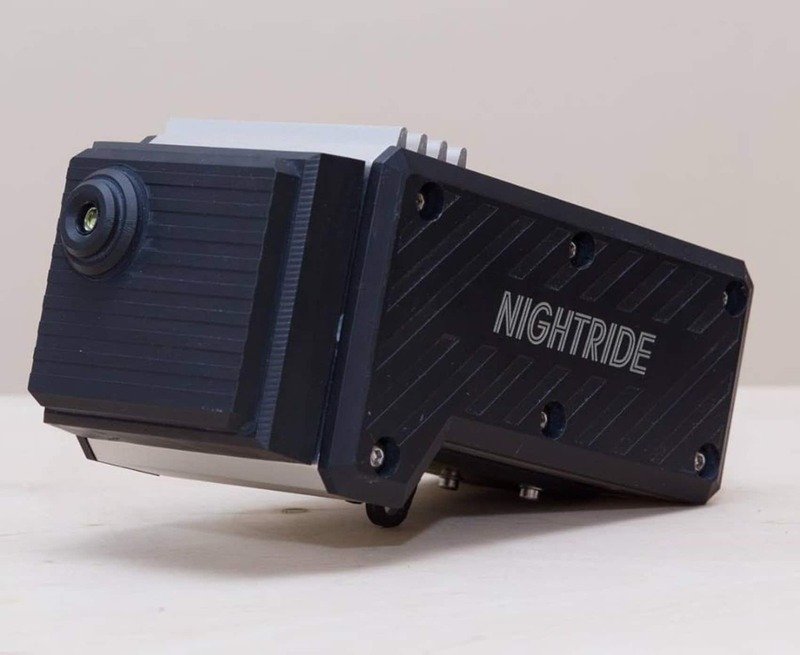 NightRide is essentially a thermal camera that allows drivers to see well beyond the range of standard headlights, providing additional visibility in darkness and during severe weather. 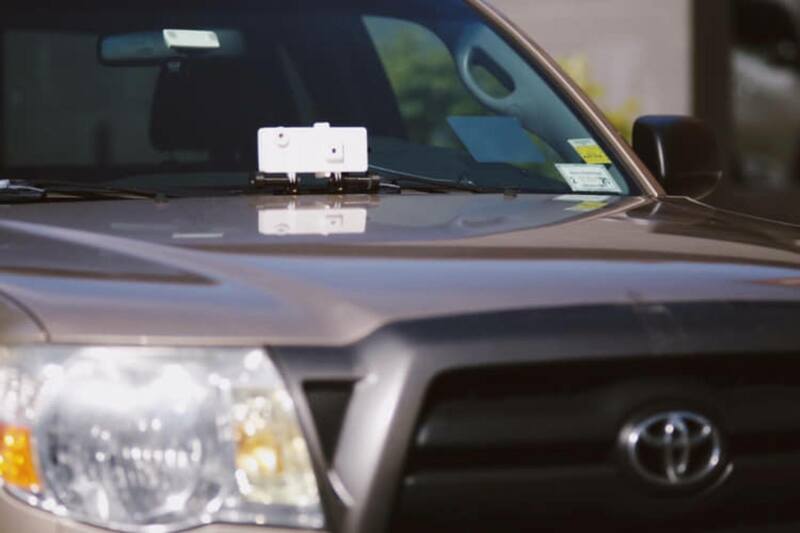 The unit is designed to detect things like deer, pedestrians, and black ice at night, and during rainy, foggy, and snowy conditions. 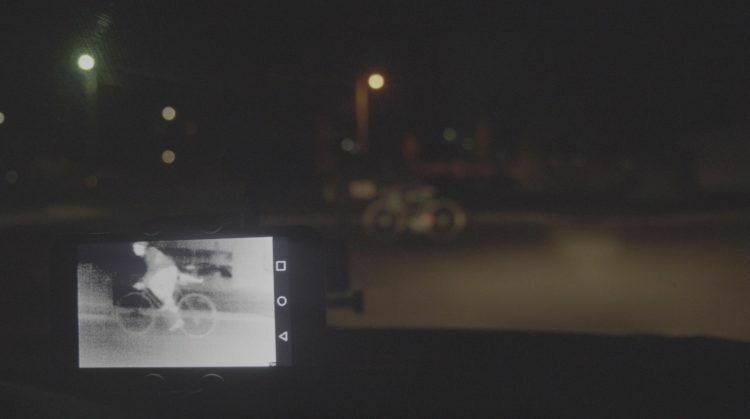 NightRide is a thermal camera that detects hard-to-see objects in the dark. Photo: Wesa Inc. 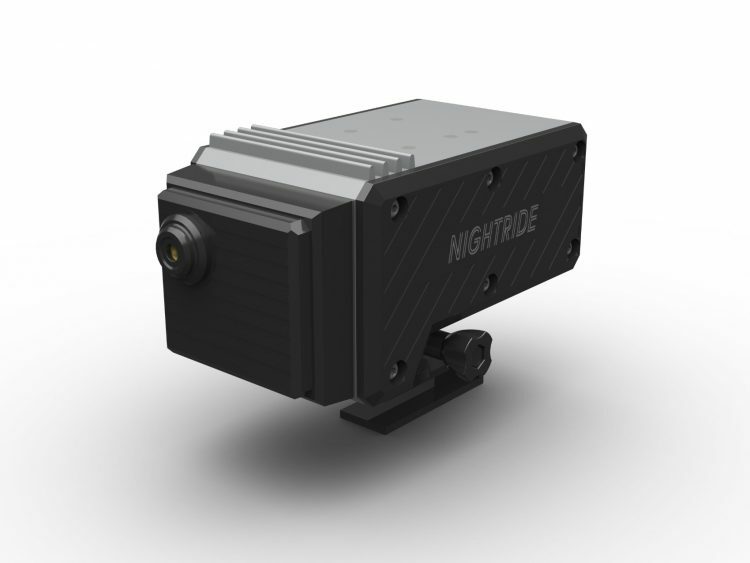 Unlike conventional night vision systems that magnify small amounts of ambient light, NightRide can operate in total darkness by using thermal infrared technology. 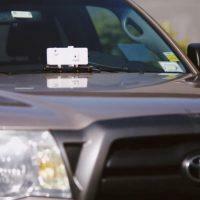 Infrared measures the amount of heat emitted by people or objects to create a visual image of the objects ahead. Groce believes this gives drivers an advantage during the night. 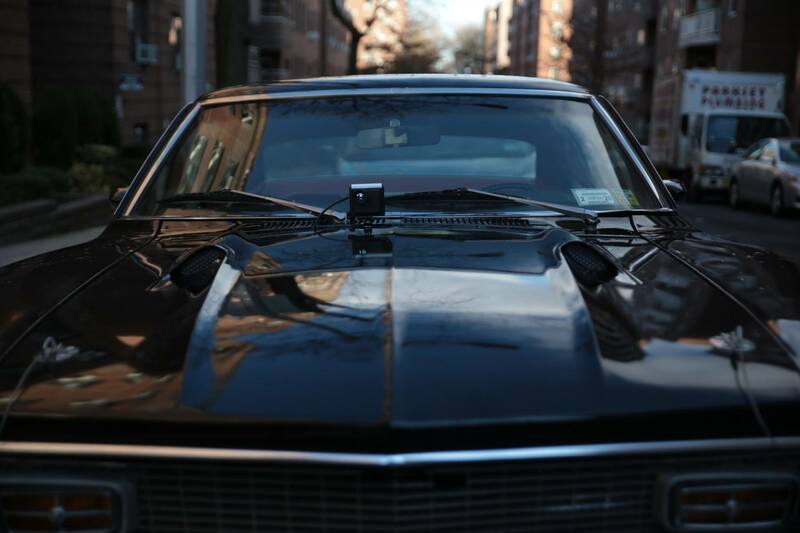 NightRide captures people and objects much farther away than ordinary headlights. Photo: Wesa Inc. 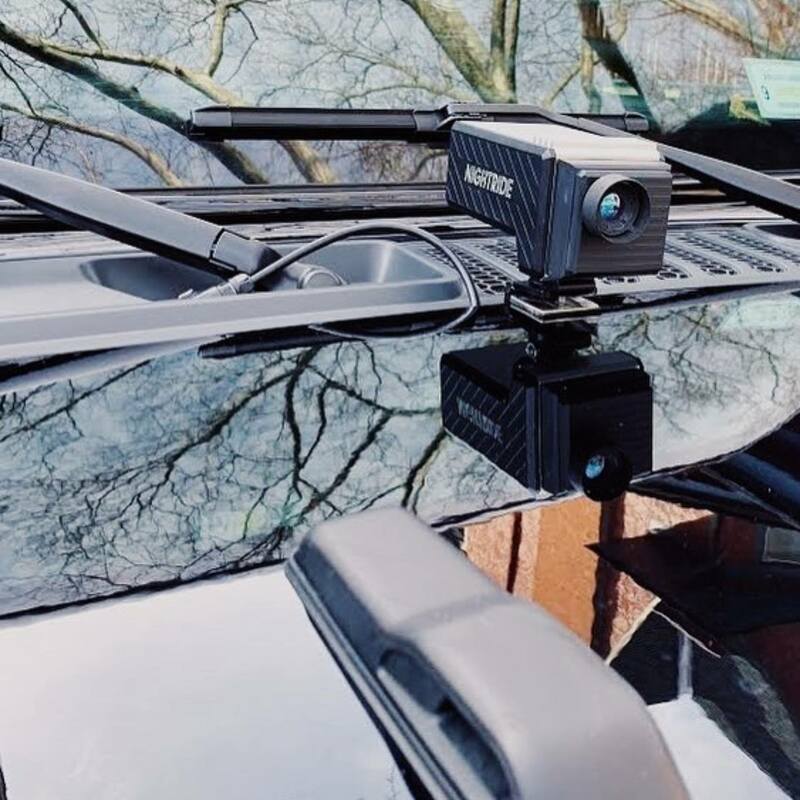 The thermal camera within the NightRide unit can withstand changing temperatures and harsh weather, a hallmark of its design. The actual camera housing is hermetically-sealed and rated at IP69 for environmental protection. 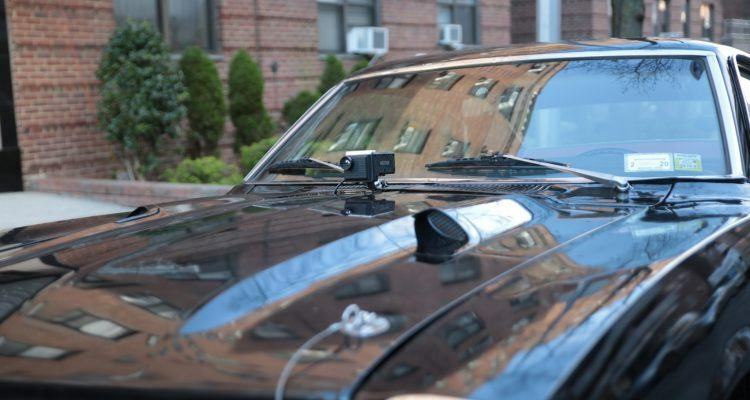 And in order to operate flawlessly in both hot and cold conditions, the camera sensor is temperature-controlled. The company says the unit is meant for use in inclement weather and was designed accordingly. NightRide extends the visibility of common nighttime hazards up to 600 feet. In terms of driving in snow or fog, every inch of visibility makes a huge difference. To sum it up, NightRide’s technology is about providing an added buffer in order to reduce a nighttime collision. NightRide capturing a deer in the dark. Photo: Wesa Inc.
Night vision for cars is nothing new. In fact, high-end BMW, Mercedes-Benz, Audi, and Cadillac vehicles are currently offering their own versions of night vision as an option. Ticking the box for the Mercedes Night View Assist PLUS in an S-Class sedan will cost upwards of $2,200. 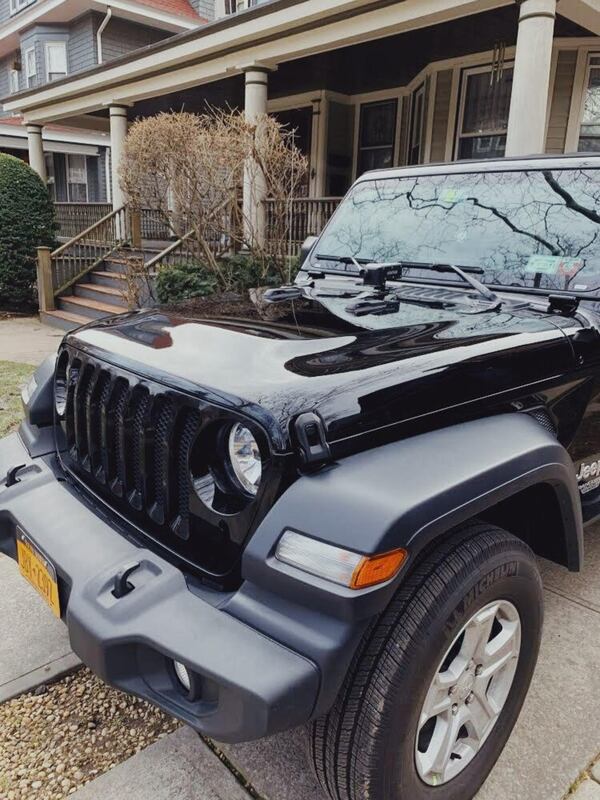 It’s basically the same deal with a BMW or Cadillac. 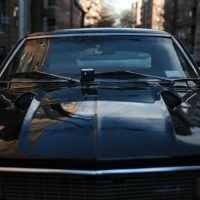 However, the brains behind NightRide were looking for a more cost-effective solution; one that fits every type of car on the road. 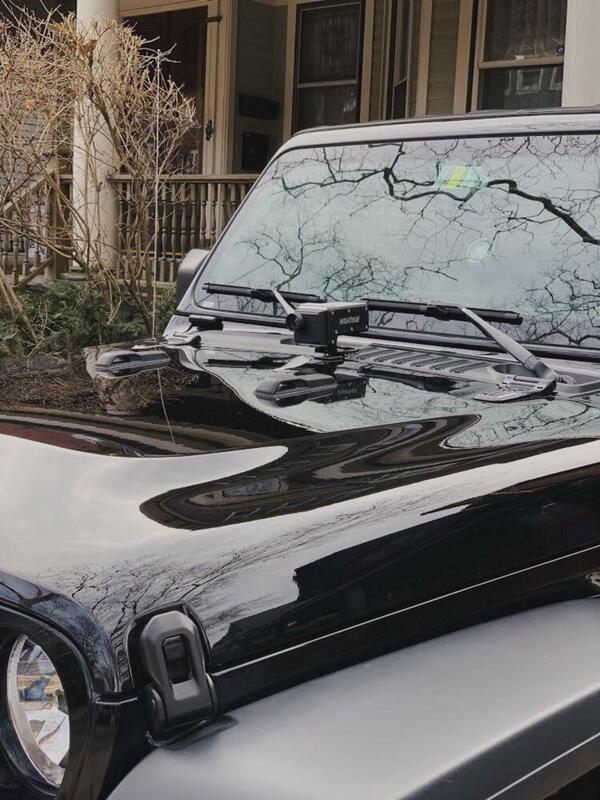 The NightRide unit mounts cleanly on the hood, near the base of the windshield, using an anti-theft mounting bracket. The unit grabs power directly via a wired connection to the car’s battery. “And it is cheaper than most smartphones on the market today,” Groce added. 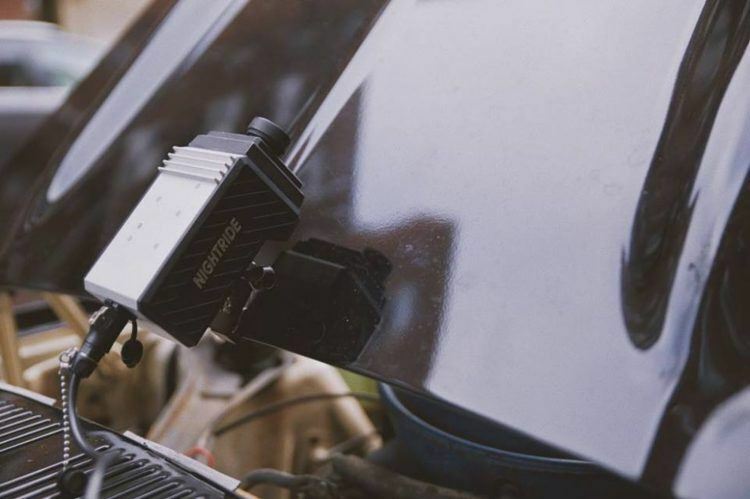 The NightRide unit is easy to install. Photo: Wesa Inc. Drivers can choose between two different displays, depending on their preferences. The first is an engaging, fighter-pilot-style heads-up display. 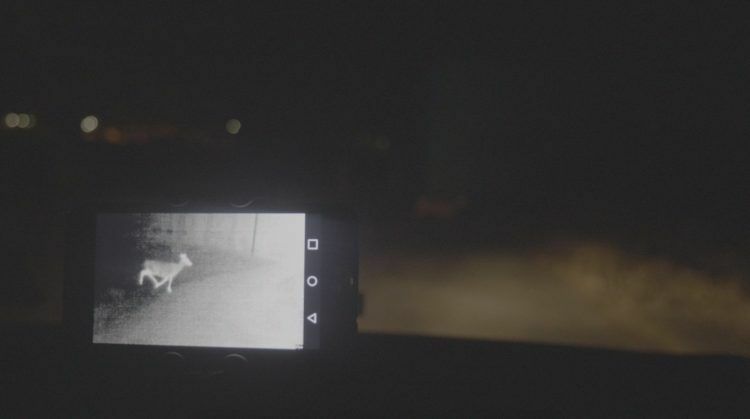 This allows you to view the night vision images from the console display on the windshield itself. 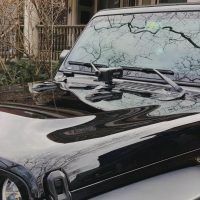 The next option is to affix the display console on the windshield using a suction mount. Equipment for both options of the display are ready to go, right out of the box. NightRide is available for a limited time at the discounted price of $795 with a $50 pre-order deposit. 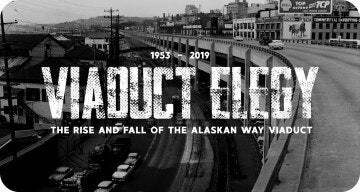 Initial shipments begin in June. For more information about NightRide, see their comprehensive FAQ page. 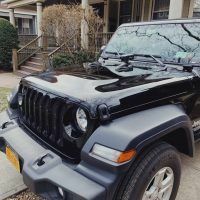 1 Comment on "Night Vision For The Masses: NightRide Helps Keep Drivers Safe"
Thanks for sharing this information. It was quite interesting to read this article. It was really helpful and knowledgerable. Thank You.